Please read the Terms and Conditions of Volunteer in South Africa / Abreakaway Volunteers carefully before submitting your booking form. By clicking on the box besides the words 'I have read and agree to the Volunteer in South Africa legal terms and conditions' and agreeing to them in the online booking application form, you agree to the following terms and conditions. The volunteer is solely responsible for arranging and paying for their own travel, specifically including all airfares or other transport costs to and from the host country as well as any local transport costs to site see etc (if we offer transport to and from Projects then this is included in the price). It is the responsibility of the volunteer to carry all necessary documents when travelling abroad. While Volunteer in South Africa may advise the volunteer on required travel documentation, Volunteer in South Africa is not responsible for any supporting documents necessary for the volunteer's travel needs or other purposes. 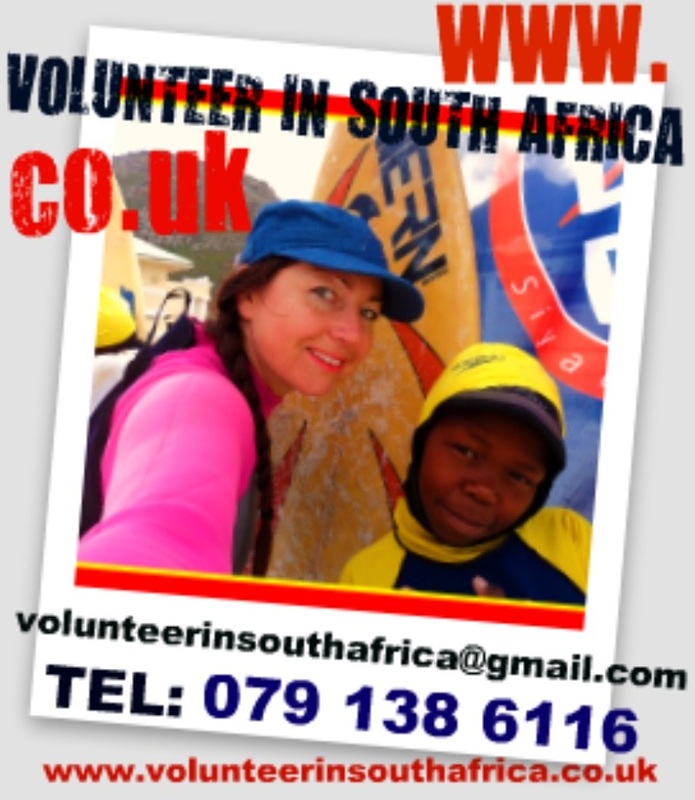 Volunteer in South Africa does not provide the volunteer with insurance of any kind. Travel insurance is mandatory for each volunteer, and the volunteer will need to purchase this prior to departing on the trip. The volunteer is solely responsible for evaluating and determining the type, extent and levels of any insurance coverage they need or desire for their planned volunteer travel period. However, it must cover their entire travel period. Compared to similar companies that provide comparable comprehensive volunteer service opportunities, Volunteer in South Africa’s registration and program fees are significantly less than the fees charged by some companies. Therefore we do not offer refunds. By agreeing to these terms and conditions you agree to our no refunds policy. By paying us, you agree to making no charge backs on our Paypal account or Claims for the money paid to us via Paypal. If you sign up for more than one project in more than one country then we will waiver $30 off your 2nd Registration fee payable. If you refer a friend to join you on the same dates that you are joining us then you will get 50% off your registration fee). Both parties will need to pay at the same time to be legible for this service. Volunteer in South Africa reserves the right to revise the registration fee at any time before you have booked. All registration fee revisions will be made via the Volunteer in South Africa website with seven days advanced notice given before they take affect. Registration fee revisions are not applicable to volunteers who have already submitted their online booking before the revisions are due to take affect. A volunteer’s placement on a program cannot be confirmed until registration fee has been paid in full. All registration fee payments attract a 4.5% transaction fee charge to cover PayPal fees (where applicable), bank fees and currency conversion charges. Registration fees are non- refundable should you cancel your trip to come to South Africa. Details of the program fees are set out on our website. Because Program fees are paid to our partner organizations (either directly on arrival or through us to them) they are not refundable by Volunteer in South Africa. Program fees paid through Volunteer in South Africa by means of online payment, bank or wire transfer will need to have transaction costs covered by the volunteer. Program fee revisions may take place on our website, however are not applicable to volunteers who have already paid their registration fee before the revisions take effect. Program fees are due 30 days prior to the beginning of the volunteer’s program placement. Failure to make this payment can result in a loss of volunteer placement with no refund of registration fee. All program fee payments attract a 4.5% transaction fee charge to cover PayPal fees (where applicable), bank fees and currency conversion charges. The volunteer agrees to indemnify Volunteer in south Africa/ Abreakway Volunteers/ all staff/ all members and parties against any and all liability which May incur arising directly or indirectly out of, or in connection (in any way) with, the volunteer's travel to, living in and providing services in the volunteer's nominated country. The volunteer must abide by the rules put in place by the organization (volunteer in sa is partnered with), Volunteer placement institution and host family in regards to alcohol consumption. Drug use (unless prescribed by a doctor) is strictly prohibited and will result in instant dismissal from the program with no refund. The volunteer agrees to comply with the partner organization's code of conduct. Volunteer in South Africa reserves the right to use feedback and images provided by volunteers for website materials such as testimonials. Volunteer in South Africa provides a service connecting volunteers to partner organizations. You agree that Volunteer in Sa/ Abreakaway volunteers / all employees are not liable for any actions or omissions of any partner organization. This website is presented solely for the purpose of promoting Volunteer in South Africas / abreakaway volunteers services and those of Volunteer in South Africas partner organizations. This site is controlled and operated by Volunteer in South Africa from its offices in South Africa. Volunteer in South Africa makes no representation that materials in the site are appropriate or available for use in other locations. Volunteer in South Africa does not warrant or make any representations regarding the correctness, accuracy, reliability, or otherwise of the materials in this site or the result of their use. Volunteer in South Africa and its partner organizations reserve the right to remove the volunteer from the program should the volunteer not adhere to the rules set out. Volunteer in South Africa has no liability for any lack of performance, unavailability or failure of the services or its website, or for any failure of Volunteer in South Africa to comply with these terms and conditions, where the same arises from any cause reasonably beyond the control of Volunteer in south africa. These terms are governed by the laws of South Africa.